AKSARBENT: End mass shootings the Deb Fischer way with the Thoughts and Prayers video game! 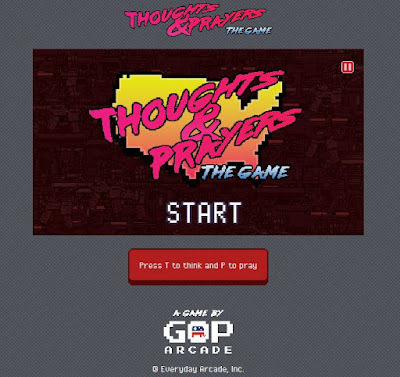 End mass shootings the Deb Fischer way with the Thoughts and Prayers video game! Click on the link below the graphic to play.